We LOVE Todd Parr books. 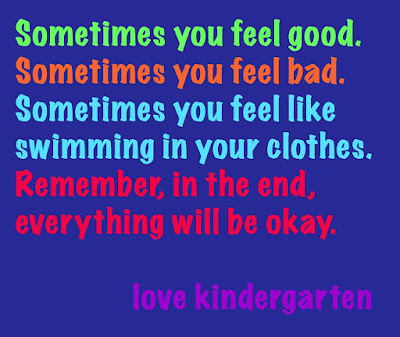 We love that they make us feel good. 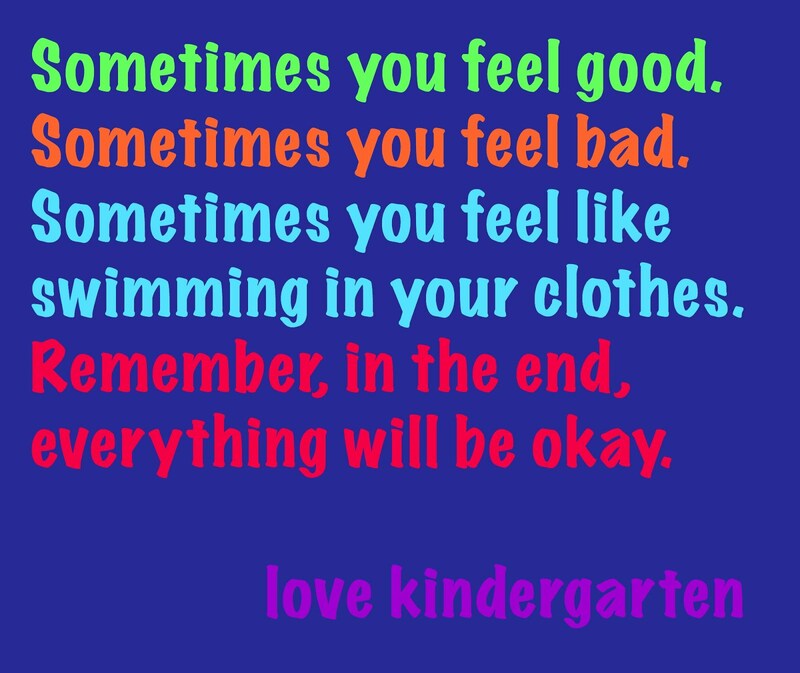 We love that they make us think. We love that they make us laugh. 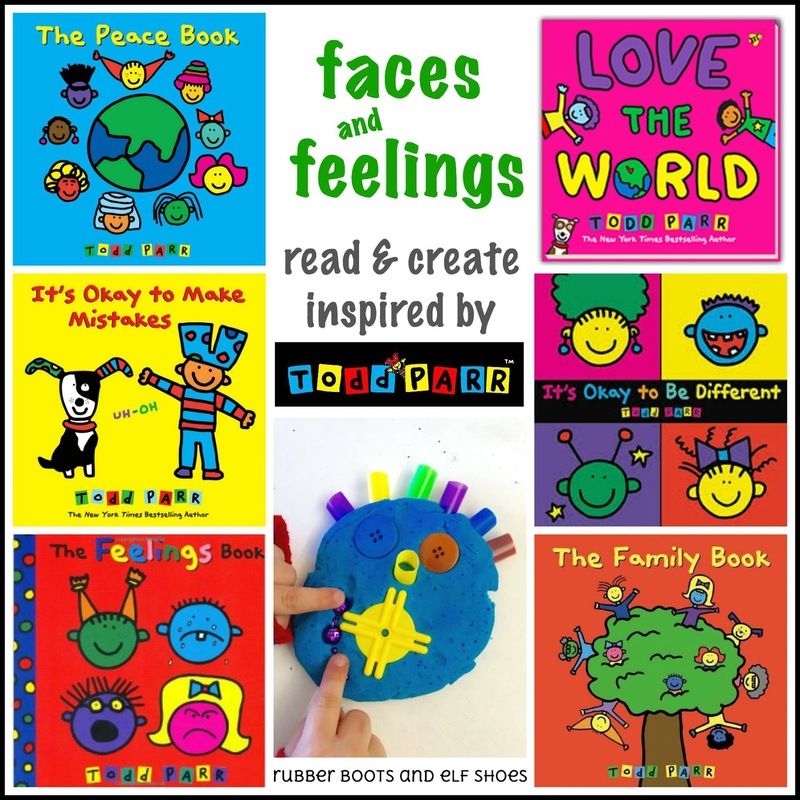 And we love the bright, colorful illustrations. 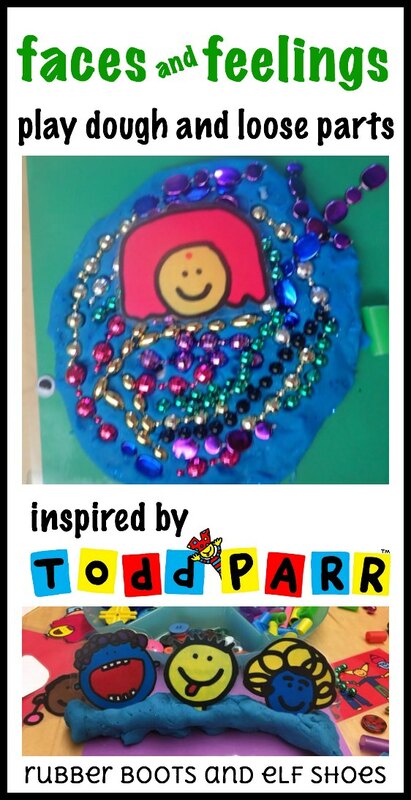 -- and knew we had to do some Todd Parr inspired creating. Play dough, loose parts and Todd Parr faces seemed a natural combination. 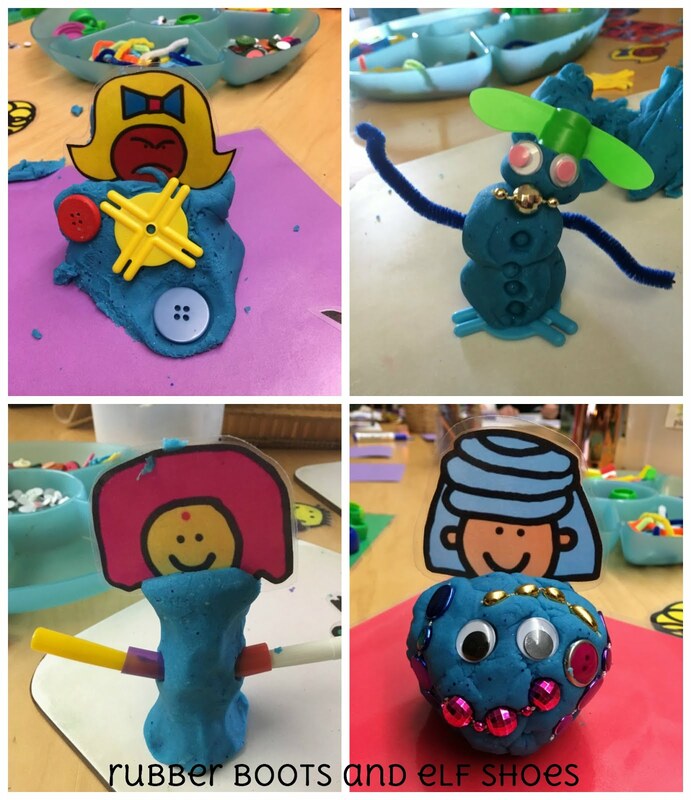 The kids' creativity and stories took off. 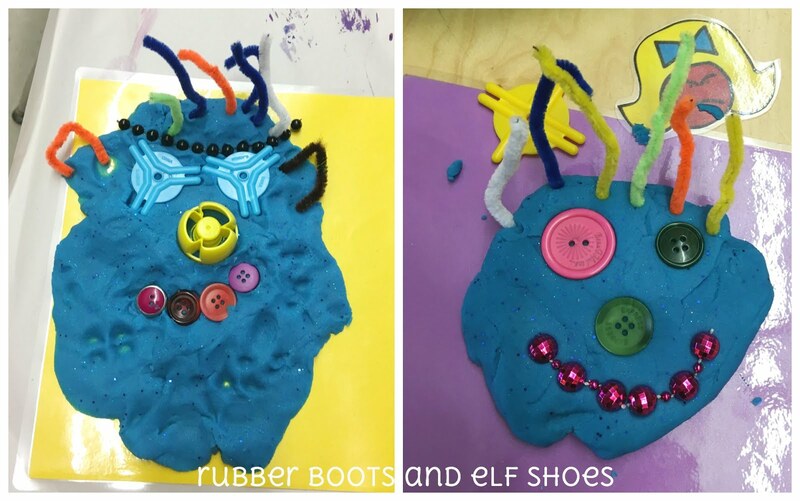 Faces made with loose parts. Todd Parr faces with "flat" play dough and loose parts. 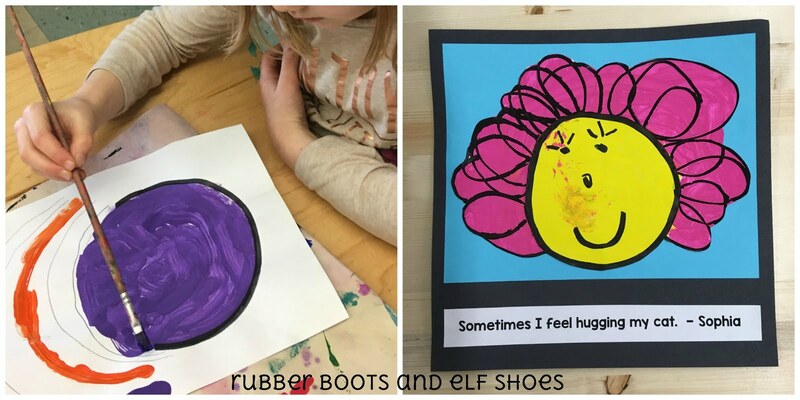 The little girl who made the creation on the right said that "the girl is mad - that's why her face is covered". 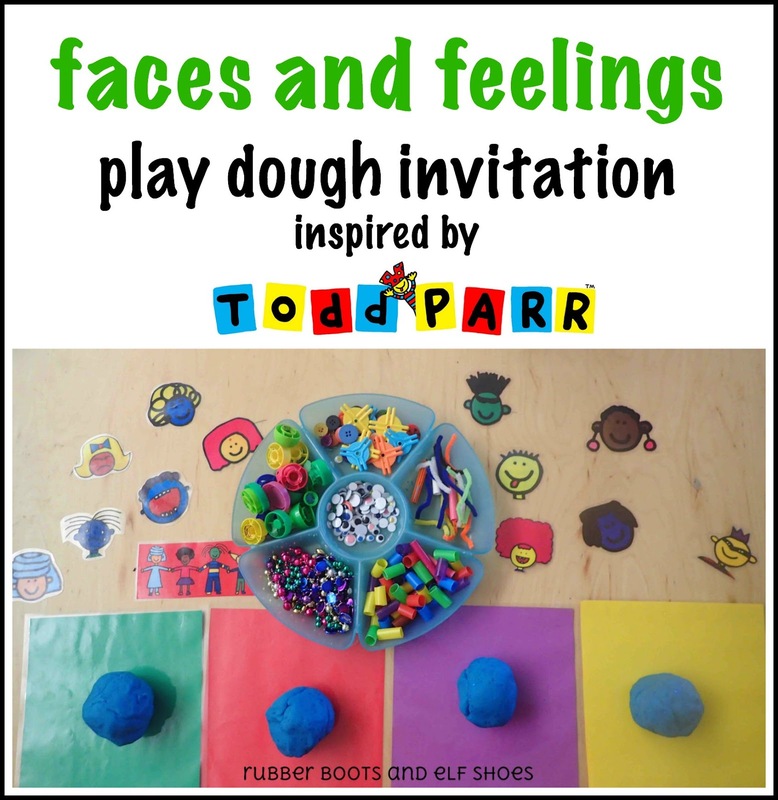 Not satisfied to leave the Todd Parr fun just with play dough, we created faces and feelings with loose parts on round paper cutouts. And we just had to create our own Todd Parr inspired paintings. The kids drew, painted, drew on the face, and then we glued the cut out faces on bright coloured paper. 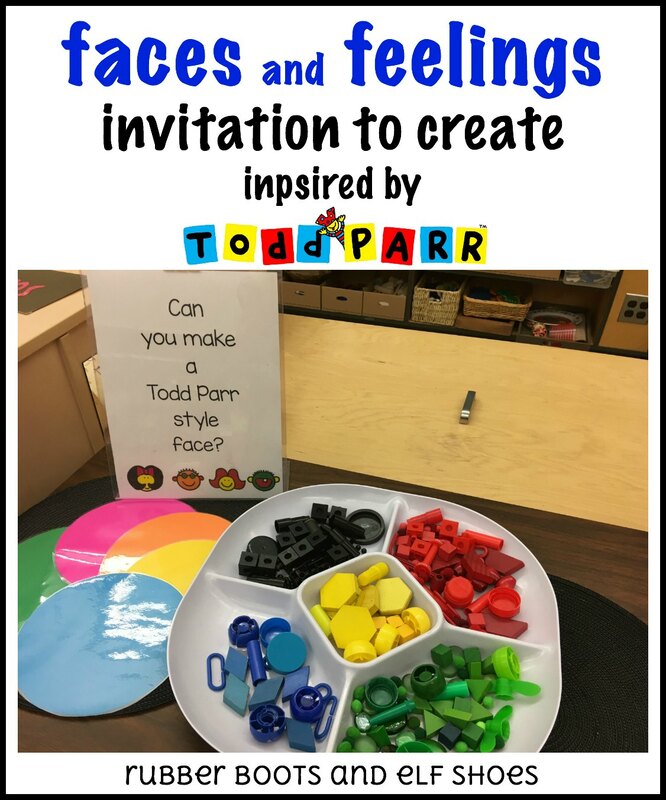 After all our book reading, chatting about feelings and faces, explorations and art projects, we did like Todd Parr does at the end of his books -- we wrote a letter. Our message to the world.